Walter T. Shaw is a tricky chap. Regarded as the Michael Jordan of jewel thieves, Mr. Shaw recently interviewed with MSN about his tactics to enter a home and pilfer the valuables inside. The comical part about this piece was the information he provided. The ways in which he entered and robbed a home were so logical they were absurd. We noted a few of his strategies that may seem a little haunting at times. But all these you could put your foot down to and prevent someone attempting to break into your home. Internet hacking has been around for a long, long while. Don’t post that you’re in Alaska having an exceedingly lovely vacation. Unless, you wanted your valuables looted. And don’t post this stuff to the worldwide web -especially if your account isn’t private. But! Don’t talk about it with people or strangers either. It doesn’t take much for a burglar to go up behind you in a grocery store, ask you about your day and then you tell them about your entire getaway. They will follow you home and the rest is history. People think that the back of the house is protected by their fence, so they don’t lock the door. The back of the house is one of the better places for entry into a home. It may be useful to put a security decal in the back there. Security decals, although maybe not representative of an actual system, can sometimes be effective. Security companies like to show that their product is being used by community advertising efforts. Buy some false advertising. It may actually benefit you. 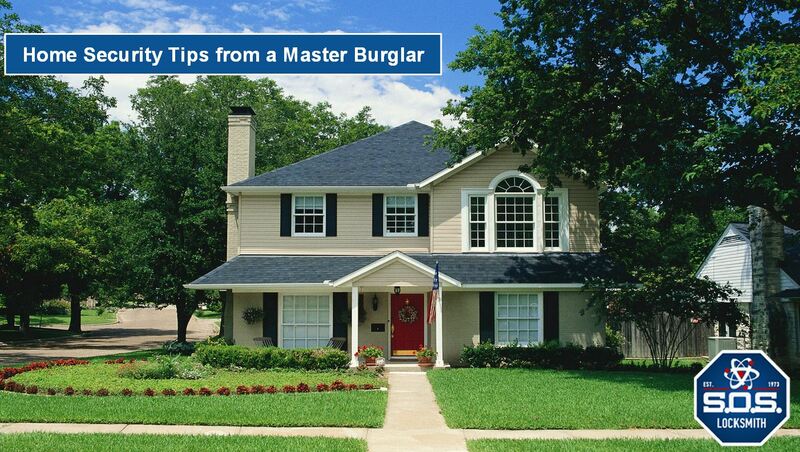 A majority of burglaries happen during the daytime. When a working individual leaves, it’s obvious to see if they are going to be gone for more than one or two hours. Usually their work appearance gives this away. In this case if there is another person at home and they go out to get groceries the burglar can make a clean and efficient entry without fear of persons being home. In this case it’s worth your while to invest in a security system. And, turn it on when you leave! Light/ motion sensors and CCTV cameras can be significant deterrents to home invaders. They are cheap and easy to install. Plus, new technologies can send real-time updates to mobile devices to ensure you’re up-to-date with what’s going on at your home. All of this is recorded as well, so you can go back and track data for future use and legality purposes. A dog may be one of the best security “devices” you can purchase. These animals always seem to be looking out for you. That annoying bark will come in handy if someone is trying to break-in to your home and may even alert your neighbors of a home invasion. But only get a dog if you can truly care for it! If you’re mail box gets full, or packages are sitting on your doorstep it indicates you’re not home. Have the post office put a hold on your mail until you return. Burglars like this freebie. Don’t give it to them.